Reynolds and Leilah will create an interactive ritual space using a combination of Ugandan ritual traditions. The performance will begin on the 2nd floor North Wing Terrace and come to rest in the Art AIDS America galleries during the tour. Reynolds’ performance will include an interactive piece, during which visitors may adhere the ART+ Positive flag stickers to the artist along with ritual objects made by participants. to adorn the artists body. Into the Light has been supported by the Foundation for Contemporary Arts and private donors. 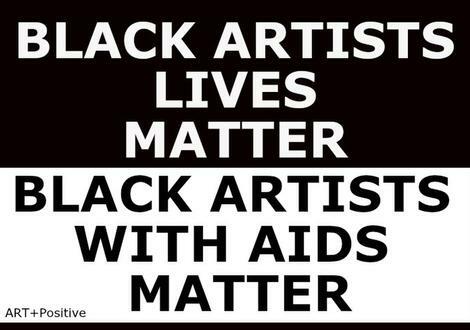 3:00pm: Tour of the Art AIDS America exhibition with archivist, writer and curator Sur Rodney (Sur) and photographer Lola Flash at the Bronx Museum. The tour will focus on the absence and history of People of Color and Women in ACT UP and AIDS activism, and speak to the representation of People of Color and women in the exhibition along with artworks represented in the exhibition that speak to each of them in remarkable ways. 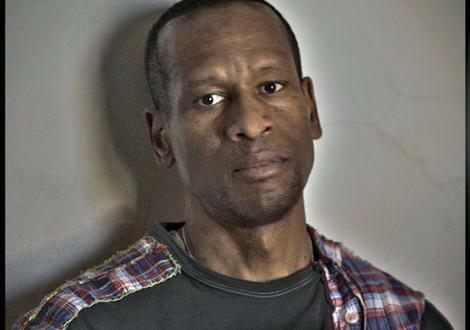 Sur Rodney (Sur) is an archivist, writer and curator who was Gracie Mansion's business partner from 1983-88. As co-director of the Gracie Mansion Gallery, he cultivated a host of young and emerging artists to international recognition and acclaim. (Sur) was an important voice in the arts scene for raising awareness about the AIDS crisis, helping to establish The Frank Moore Archive Project of Visual AIDS and served on the Board for more than a decade. He and his longtime partner Geoffrey Hendricks also collaborated on a series of curatorial projects and exhibitions relating to art and AIDS. 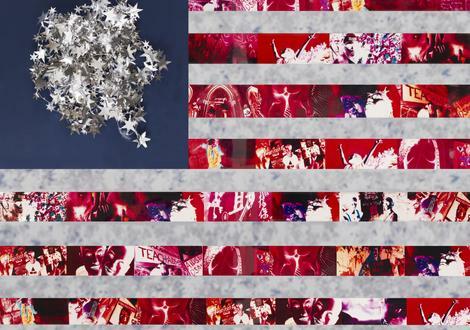 He is a contributing writer in the Art AIDS America catalog. Lola Flash uses photography to challenge stereotypes and offer new ways of seeing that transcend and interrogate gender, sexual, and racial norms. Flash works primarily in portraiture with a 4x5 film camera. 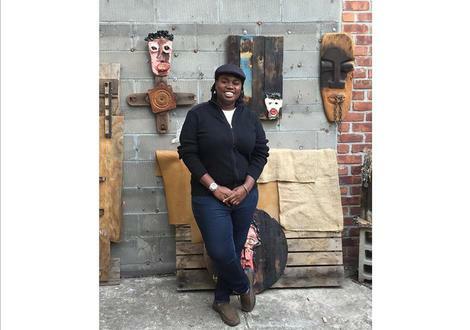 In 2008, she was a resident at Light Work and in 2015, participated in a residency at Alice Yard in Trinidad and Tobago. Flash was awarded an Art Matters grant, which allowed her to further two photographic series, [sur]passing and surmise, in Brazil and London. Flash’s work is included in important public collections, including the Victoria and Albert Museum in London. 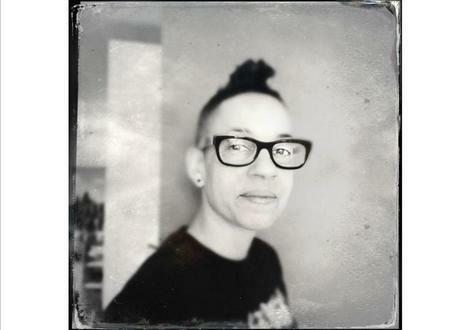 Her work is featured in the publication Posing Beauty, edited by Deb Willis, and presented in the current award winning film Through A Lens Darkly. Flash’s work welcomes audiences who are willing to not only look but see. Babirye Leilah was born in Kampala the capital city of Uganda. She currently lives in New York (Brooklyn), while waiting for political asylum. She is a contemporary visual artist who specializes in abstract sculpture and painting. Her work deals with human rights issues particularly when they are created by politics, social stigma and economic discrimination. She graduated with a BA Industrial Fine Art & Design from MTSIFA at Makerere University in 2011, having majored in sculpture. She has since undertaken residencies at Fire art in 2015, CherryGrove (New York), 32° East | Ugandan Arts Trust in Kampala (2014), Kuona Art Trust (2014) in Nairobi, Nafasi Art Space in Dar-es-Salaam (2013) and Hospital Field in Scotland (2012). Her work has been exhibited in the Clifford Chance law firm New York (2016) , Clifford Chance DC Washington (2016), 18th Annual post cards from the Edge New York (2016) , Kampala Art Biennale (2014) and KLA ART 014: Kampala Contemporary Art Festival. She was a participant of some key workshops including AtWork (2015) with curator Simon Njami, Utopia/Dystopia Photographing Peace and Conflict (2013) with photographer Harandane Dicko and manager Hama Goro, Coaching for Ministries Art and Leadership Conference (2013) and RAKU Firing Techniques (2008). Her work has been publicized in MUFF Magazine, New Vision and she has been featured in CCTV Broadcast Television. 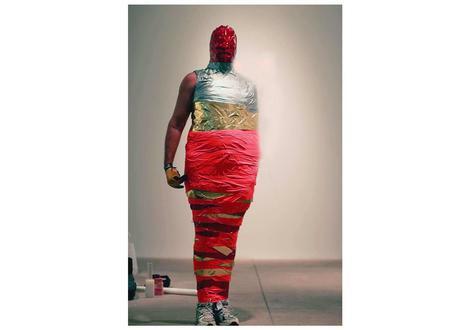 Hunter Reynolds Survival AIDS Mummification Performance. Image courtesy PPOW. ART+ Positive formed in May 1989, an affinity group of ACT UP 1989 to fight AIDS-phobia, Homophobia and Censorship in the ARTS and the Helm's amendment. ART+ Positive reformed in November 2010 , when the Smithsonian Institution head G. Wayne Clough touched off a firestorm of controversy when he quickly capitulated to the complaints of right-wing politicians and an anti-gay religious group and ‘removed’ a video work by seminal gay artist David Wojnarowicz from the groundbreaking National Portrait Gallery show Hide/Seek. Art+ Positive Flag, 1990. Collection Dr. Daniel Berger. Education and Community Engagement Programs are generously supported by the Elton John AIDS Foundation, Keith Haring Foundation, Laurie M. Tisch Illumination Fund, Arcus Foundation, and May and Samuel Rudin Family Foundation. Public Programs are made possible by the Institute of Museum and Library Services and the Mertz Gilmore Foundation. Senior Programs are generously supported by The Malka Fund and City Council Member Vanessa L. Gibson.